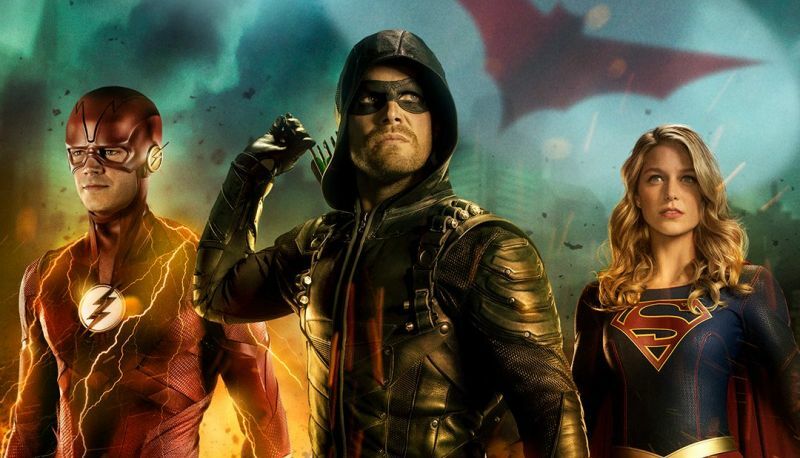 The CW is starting to hype its fall slate of DC superhero shows with its new promo titled “Suit Up,” which gives a rundown of when the new seasons will start for The Flash, Supergirl, DC’s Legends of Tomorrow, Arrow, and Black Lightning. You can check out the trailer below, but it doesn’t reveal much of Ruby Rose’s upcoming turn as Batwoman. Things kick off with The Flash, which premieres on October 9th. The Flash stars Grant Gustin as Barry Allen/The Flash, Candice Patton as Iris West, Danielle Panabaker as Caitlin Snow, Carlos Valdes as Cisco Ramo, Hartley Sawyer as Ralph Dibny, Jessica Parker Kennedy as Nora West-Allen aka the speedster hero XS, Danielle Nicolet as Cecile Horton with Tom Cavanagh as Dr. Harrison Wells, and Jesse L. Martin as Detective Joe West. Supergirl season four, which premieres October 14th, stars Melissa Benoist as Kara Danvers/Supergirl, Mehcad Brooks as James Olsen, Chyler Leigh as Alex Danvers, Jeremy Jordan as Winslow ‘Winn’ Schott, Katie McGrath as Lena Luthor, Jess Rath as Brainiac 5, and David Harewood as Hank Henshaw/J’onn J’onnz. New to the cast for the fourth season is Sam Witwer as hero Agent Liberty. DC’s Legends of Tomorrow’s second season starts October 22nd, and stars Brandon Routh as Ray Palmer/The ATOM, Caity Lotz as Sara Lance/White Canary, Dominic Purcell as Mick Rory/Heat Wave, Nick Zano as Dr. Nate Heywood/Steel, Maisie Richardson-Sellers as Vixen, Jes Macallan as Ava Sharpe, with Courtney Ford as Nora Darhk, and Matt Ryan as John Constantine. Arrow season seven gets going on on October 15th. The series stars Stephen Amell as Oliver Queen, David Ramsey as John Diggle, and Emily Bett Rickards as Felicity Smoak. Colton Haynes returns as Roy Harper for the new season after being absent from the series. Finally, Black Lightning returns for season two on Tuesday, October 9, at 9/8c on The CW. Based on the DC characters, the series is executive produced by Greg Berlanti, Salim Akil, Mara Brock Akil and Sarah Schechter. It’s produced by Berlanti Productions and Akil Productions in association with Warner Bros. Television. The post CW Promo Invites You To Suit Up For New Seasons of DC Superhero Shows appeared first on ComingSoon.net.